As a partner of both HubSpot and Drift, we're often asked about the difference between these great tools when it comes to conversational marketing & sales. If you're asked more than once, it's a good idea to create a repeatable answer people can find. So, we decided it was time to offer an in-depth review of the best tools on the market for your conversational marketing journey. Choosing the right platform for your conversational strategy is paramount, and while some features overlap between HubSpot and Drift, it’s important to realize the functions that will help you increase conversions and revenue. This post was published in April of 2019 and is being continually updated here as features are addressed. 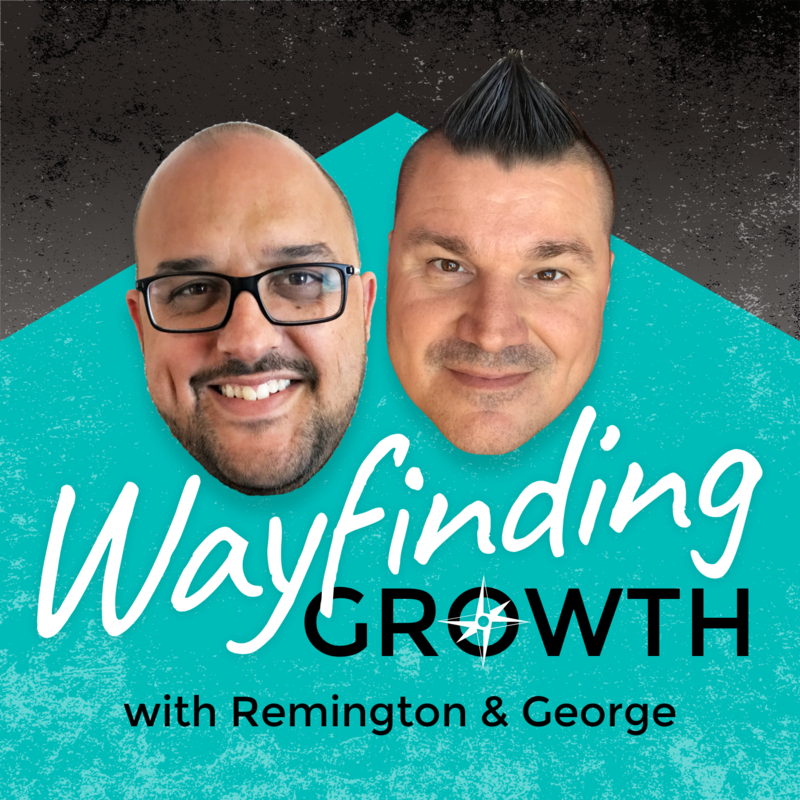 If you’ve followed us over the past couple years you know that we talk about live chat and conversational marketing with a vengeance. We’ve seen some incredible results and have shared it with the world. At our own agency, we increased our conversion rates by 2.5X and meetings set for sales by about 5X within 3 months of implementing the concepts. Conversational marketing quickly became a leading strategy to drive higher conversions for our agency (and our clients). Targeting allows for users to start a conversation with context which is fundamental to conversational marketing and sales success. 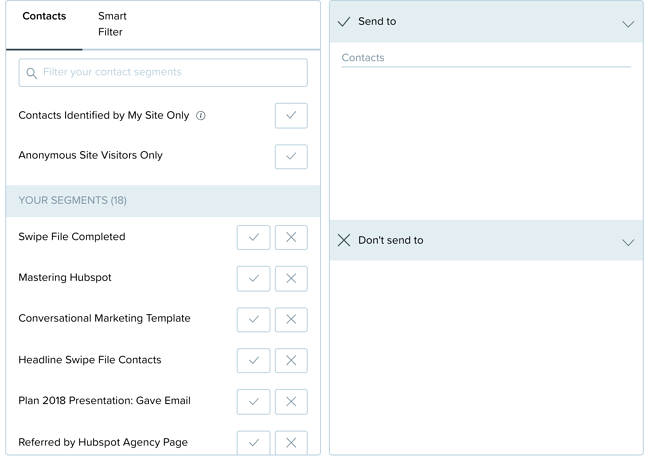 Drift has six condition categories and over 25 different targeting conditions that allow for you to customize your message triggers. This includes everything from delaying a message until a 63% page scroll to delaying the messaging until after they’ve taken a specific action. For HubSpot, this is probably one of the weakest parts of the chat product at this point. While they boast some powerful features in the “who” category as it ties natively into HubSpot CRM, the conditional targeting of when to show up is relatively weak. They recently added Query Param which allows for you to trigger the bot based on a query in the url (ie: ?query=1234). One function we’d like to see improved is the ability to delay when the bot appears. Drift wins for targeting because of their ability to cater the message context precisely to match the user's intent. Which pages do you want you live chat to appear on, and how many different options should be available? That's the question with triggering. Hubspot has the ability to trigger on a page link that references #hs-chat-open in the url. This is great, but only can work for one chat flow per page as the triggering (mentioned above) has to be targeted to a specific page. The HubSpot-chat-open feature simply launches the chat dialog. Drift is a clear leader in chat targeting. They understand that the context on a page may change by section, or according to the user’s intent. Drift has coined the term for this function as a “DriftLink”. Each individual playbook has the ability to trigger based on a #driftlinkhere (anything you want) added to the URL. 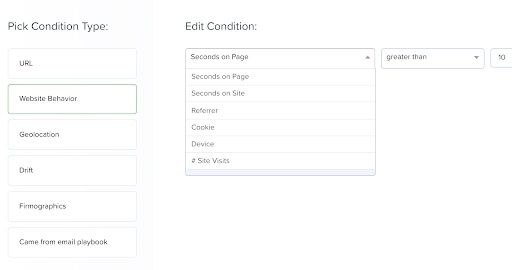 This allows for you to have multiple CTA’s or buttons on the page, driving different conversations depending on the context of the paragraph or section of the website. Drift wins again here, by allowing the platform to set the context of the conversation before the first message is sent. 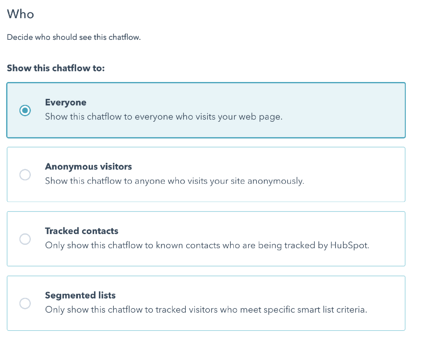 When connected to the HubSpot CRM or HubSpot Marketing Hub, marketers have the ability to segment users (and chatflows). You can listen to known users based on list membership (ie Active Lists [previously known as Smart Lists], or Static Lists) or not show based on list membership. This can be incredibly powerful because contacts that are in your sales pipeline can see different messages on your pricing page versus those that are not, for example. 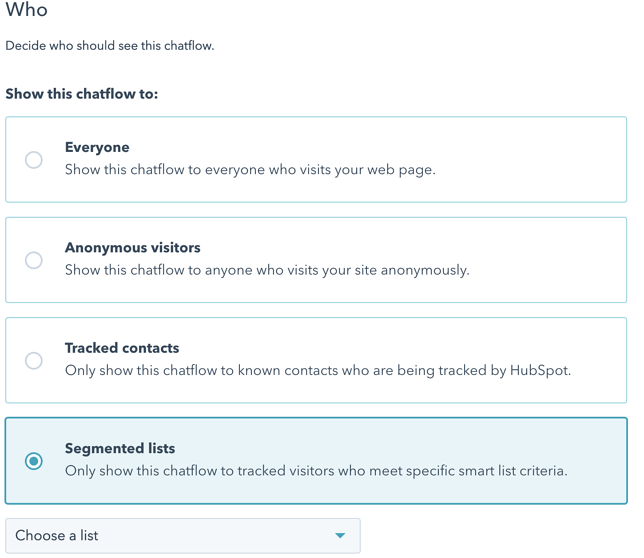 Similar to HubSpot, Drift has features to target “segments” which essentially are the same as the Active and Static Lists from HubSpot. This feature allows for you to have not only the targeting mentioned above but the segments also. Both solutions manage your known contacts well. This is a little-known fact, but Drift’s Segments (contact lists) can also use criteria for everything from original source to specific pages seen,allowing for anonymous contacts to be put into the same “Segments” mentioned above. This is an incredible feature for targeting and segmentation of unknown users. Drift’s Segments feature targets users based on the tracking session cookie. This is not possible with HubSpot. An easy call, as Drift can target anonymous contacts but HubSpot cannot - for now. Creating branching logic for conversational marketing and live chat makes the interaction feel more conversational. Conditional questions, based on data, help make this happen. As you’re building your chatflow you have the ability to save chat inputs into the contact record of a user. What’s great is that you can also completely skip the question if you already know it. (IE: if you already know the contact’s name, company name, etc). In addition, based on the information you know of the contact in the CRM you can also create conditions around the chatflow questions. This is incredibly powerful to build additional context into your conversations. 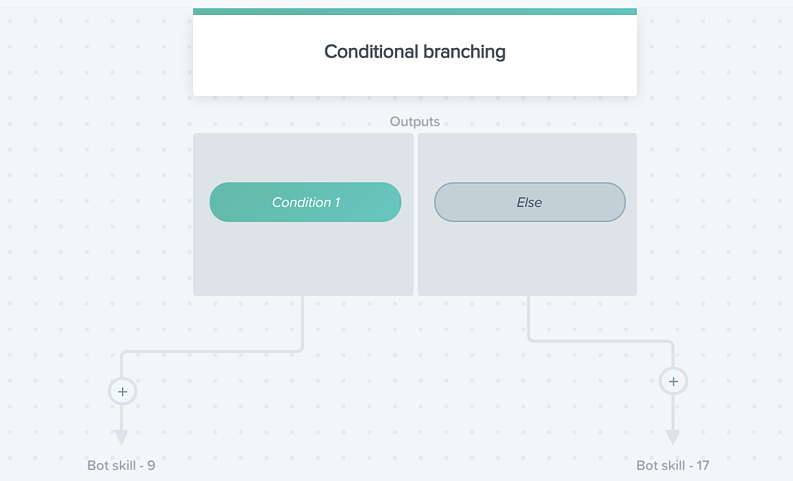 With Drift you can now structure conditional questions much like you create conditions for workflows. This allows you to skip questions you have the answer to and create conditions around known data. You can also craft playbooks that feel more conversational than other tools because you can change the message in context to the prospect or customer. 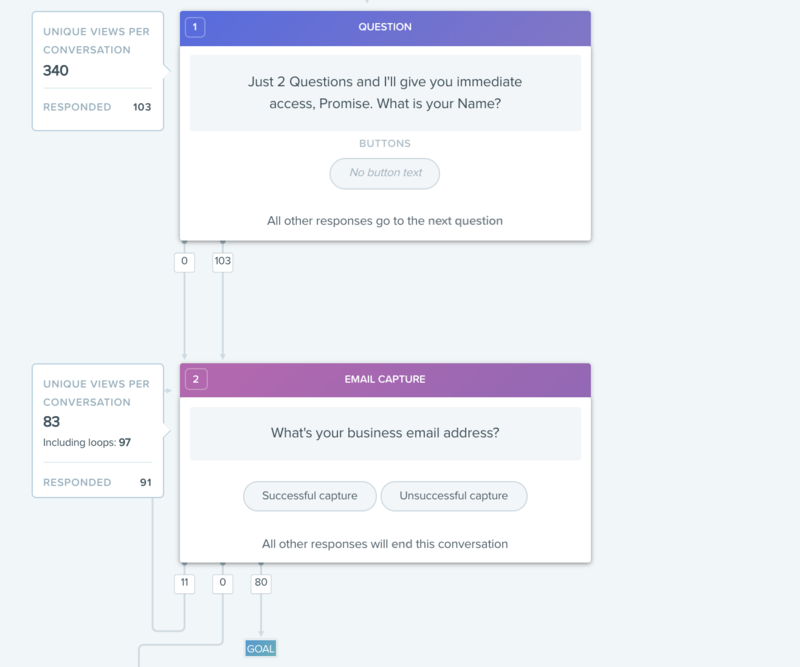 While both platforms allow for conditional questions, the flow in Drift is more intuitive and powerful, based on contextual conditions via the website in addition to contact data. Having the ability to automatically route a lead to the correct salesperson or contact in your company is a great way to serve your prospect in a timely fashion. Eliminating the need for a middle-man (or middle-woman) to route the information by using technology helps increase efficiency for you and the end user. Hubspot allows for you to route to a specific owner or round-robin within the account or team. This is only possible with one routing rule per chatflow. 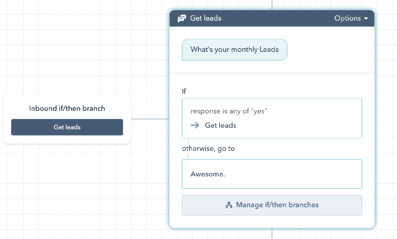 With Drift, routing of leads is multi-level. At the platform level, you can set specific routing rules based on different criteria such as location, time of day, etc. Then, within each playbook you can choose to route to different teams/individuals depending on the routed goal. IE: if a prospect is interested in website design then route to team member “A”, if the prospect is interested in conversational marketing then route to team member “B” and so on. ProTip: You can also assign a rep “behind the scenes” while a user is going through the playbook. This can allow for the conversation to continue with the bot while shortening the response time of the rep in the eyes of the user. Drift allows you to route leads more efficiently and with more freedom. Booking meetings from your conversational marketing tool and live chat function makes sense from a user perspective. If your potential leads or clients want to talk directly with a team member, why not allow them to do so with little friction? 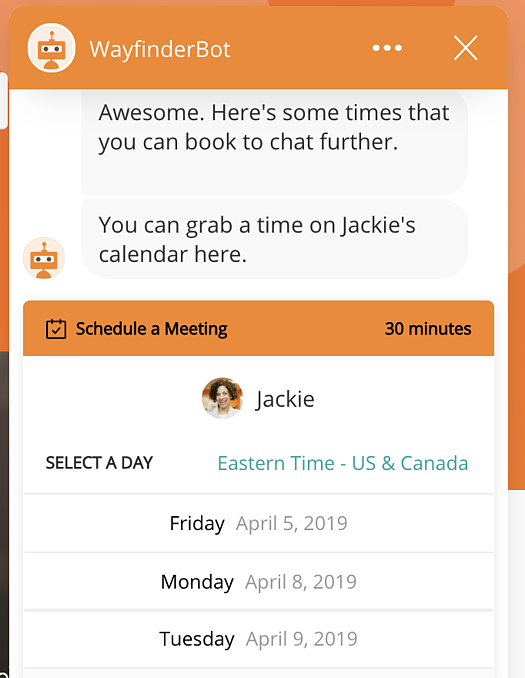 In HubSpot, you can book a meeting through Conversations by linking a meetings URL in your chatflow, letting the bot take care of the rest for you. GDPR functionality does work in HubSpot Conversations, if you have it turned on. If your GDPR is on in your meetings link, the bot can't schedule the meeting directly. Instead, your prospect will have to open your meeting URL in another window to complete the meeting booking process. Another downside: No custom fields on your meetings link for it to work in HubSpot Conversations. Instead, you can ask for information within the chat conversation and then write it into the contact record before triggering the calendar bot. One pro to HubSpot is that you can choose the intended team member for the meetings ahead of time or go round-robin with your team. In Drift, scheduling a meeting is more intuitive and natural. The booking actually happens directly in the chat dialogue. This way, your contact can book a meeting and you get to ask further clarifying questions. This method has a more conversational flow. It feels like you’re talking to a friend. Like HubSpot, Drift allows you to choose the intended representative for your company or go round-robin with assigning the meeting. An additional pro for Drift: When set it up correctly, you have an automatic email follow up for "almost booked" meetings. And you can customize the messaging. Keeping the booking function in the chat function at all times keeps the conversation… well, conversational. What we measure, we understand. And improve. Reporting, as you know, helps you understand how effective your communications are. This is true in conversational marketing as well. It’s incredibly important at the context level of the conversation more so than just the bot level. More than just “How many emails did I collect?” you should understand “Where did I lose people?” if they don’t convert. In general HubSpot has great reporting. It makes sense that their reporting in conversations is great. Finding analytics and bot conversion numbers isn’t currently intuitive in HubSpot, but will likely improve as the tool iterates. 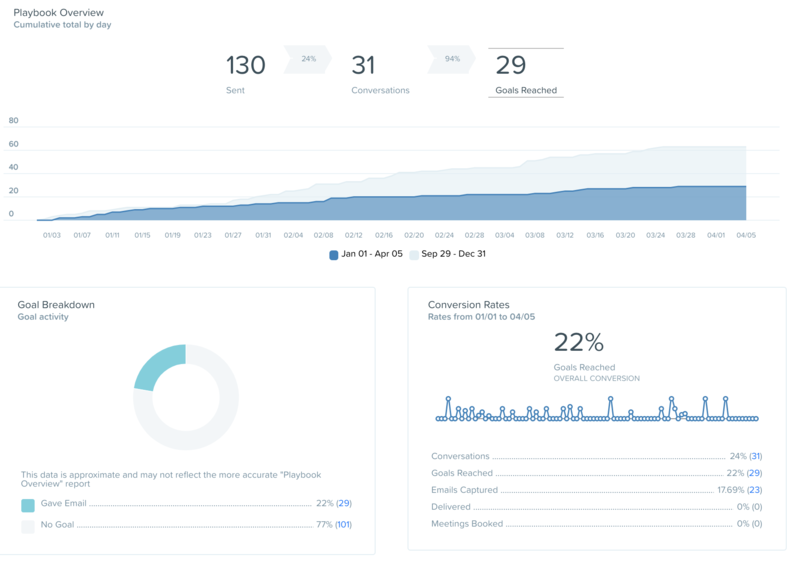 In HubSpot, you can use reports on your dashboard to analyze how many conversations have taken place, how quickly your reps are responding, which rep is chatting the most, and how your visitors are getting in touch with you. You can see completions and abandons - so you’ll know if people finished the flow but not which direction they then took. 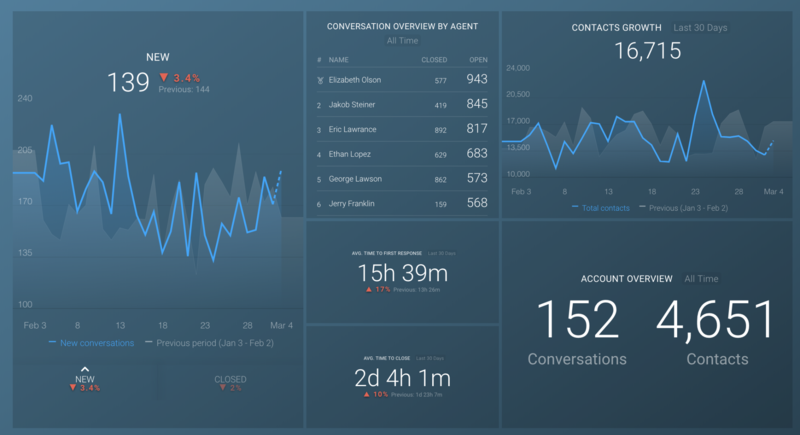 Drift allows you to see analytics at the playbook level (bot level). You can also go into the actual playbooks and see every condition/fork in the road and see the fall-off or the path that people have taken. It’s extremely granular. 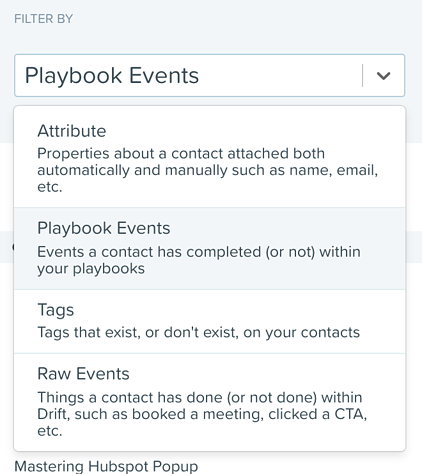 With Drift, you can set individual goals within your playbooks to understand/qualify or disqualify contacts... so you can see if your path/bot is effective. This takes reporting and analyzing your data to a new level. With the more intuitive and granular reporting, Drift empowers you and your team to become conversational ninjas. Because Drift uses in-playbook analytics, your team has access to the right data to craft the right conversation with your prospects, viewers and customers. Try Databox to tie Drift into other metrics with At-A-Glance Reporting and other analytics like HubSpot or Google to get the bigger picture of your marketing and sales performance. 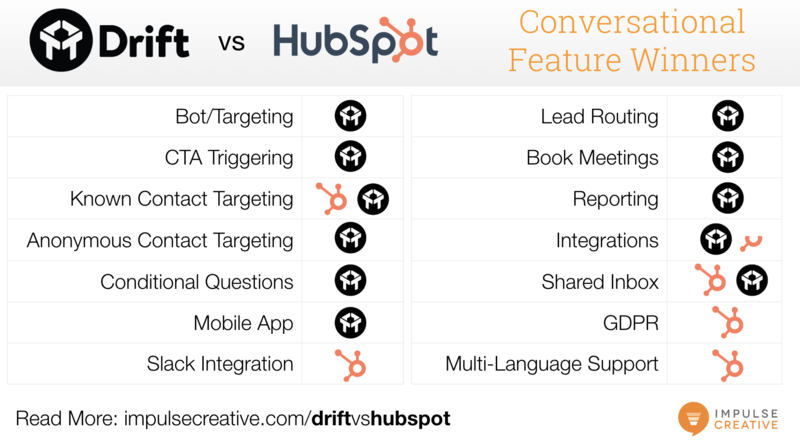 Building your marketing stack will include integrations… how do HubSpot and Drift compare? HubSpot keeps their Conversations tool closed right now. They’ve integrated the tool into their sales/marketing and service hubs, which is great. But you’ll find no out-of-the-box integrations right now. Drift has designed a system that integrates with a multitude of tools to help you create a stellar stack for conversational marketing. You’ll find 42 current integrations (at the time of this article) and growing. These integrations include HubSpot and other marketing and technology platforms, marketing automation tools like Eloqua and Marketo, CRM tools, productivity and conversation integrations like Slack, Vidyard and Giffy, along with many other items you want in your tech stack. 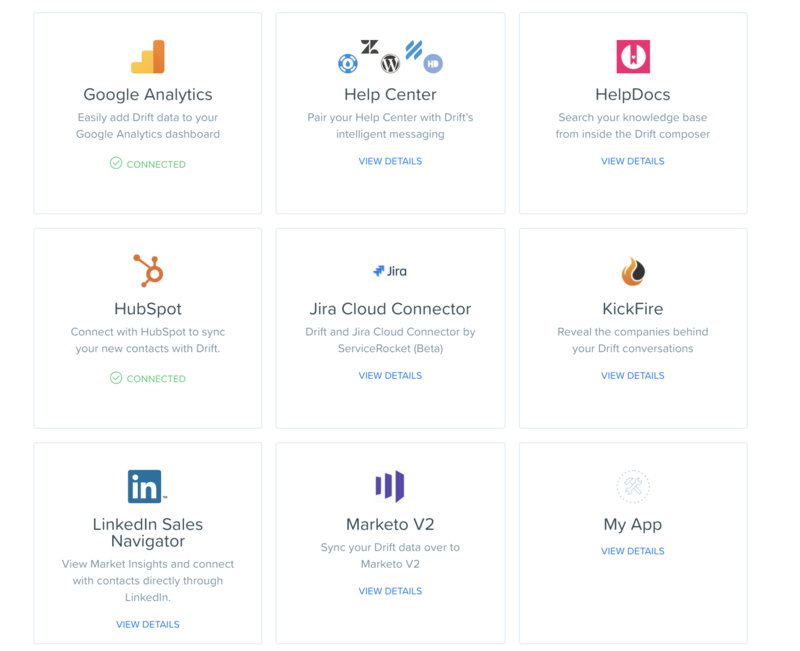 With so many options to integrate into your current technology stack and beyond, Drift wins this category hands down. We give HubSpot a half-nod because when all of your tools are in HubSpot, they do work well together. A shared inbox is the place where your team collaborates with general inboxes and conversations. Emails like support[at] impulsecreative.com, where multiple team members collaborate rather than people sharing log-ins for each email or communication tool, are the perfect place for general support or sales inboxes. HubSpot offers its Conversations Inbox, where teams can collaborate, track conversations and work to offer the best user experience. Your team can see who’s assigned to them, respond and keep track of conversations in a system that feels familiar. 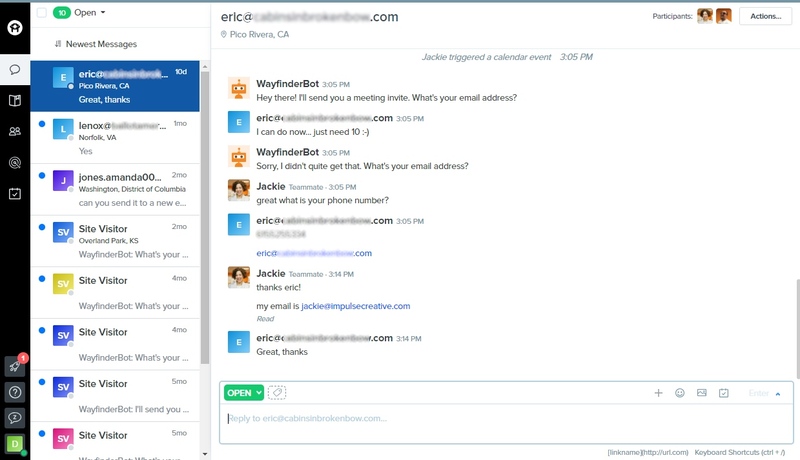 Drift inboxes allow for incoming emails, as well as an option for you to have chat conversations in the same place. Having all of your communication in one spot helps you to stay organized and reference conversations later. Both tools work well for the shared inbox needs of your business. We’re all on the go with mobile devices in hand. Both solutions for conversational marketing and live chat have mobile apps. Which one measures up? 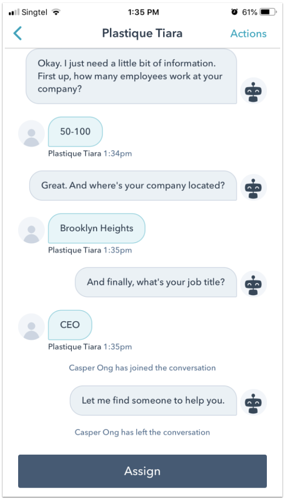 HubSpot pushes one notification when someone engages with your chatbot, at the beginning of the conversation. One notification is easy to miss. While the mobile app itself works well and feels like you’re using text or a familiar messaging app, the notification is a big deal. On the other hand, Drift offers notifications each time your user engages and answers a question. This gets you “in the now” with your prospects. Again, the app itself feels like a normal chat with your friends – it’s user friendly and intuitive. Drift wins here because of the notifications – if you miss a notification then you miss an opportunity. In HubSpot, you can customize individual welcome messages by language. According to HubSpot: When editing each live chat, both the Welcome Message and Email capture message are entirely configurable and can be changed to any language. For this reason, if you have different language versions of your website, create separate messages and set the target audiences accordingly. 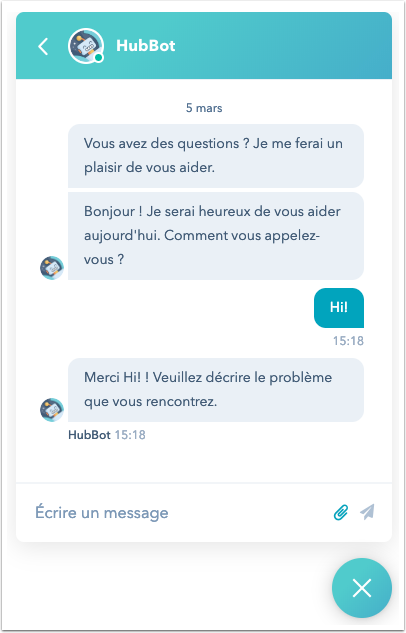 You'll also have several languages supported in your HubSpot Conversations bot, as well as various timezones. Drift’s Admin Panel and the majority of its features are currently hard-coded in English. However, they have started localization efforts for certain aspects of the platform and the user experience. Look for improvements as the tool evolves and grows. In the meantime, you can change your language in the back-end of Drift. HubSpot comes out ahead because you'll find more options for choosing languages for your conversations. If you're an international company, this is very helpful. GDPR consent is only available in one language, which can be a problem with GDPR compliance if you're operating across international lines. However, as a Data Processor, here's what Drift says: Drift collects and stores a minimum of Personal Data only as instructed by our Customer, the Data Controller, for the purposes of delivering the Drift Services. Read about their general GDPR compliance here. 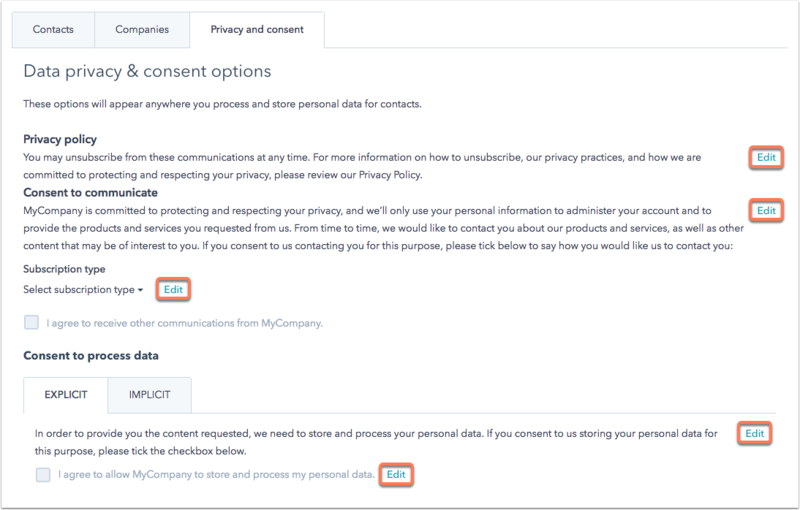 When your GDPR settings are turned on in HubSpot, you can use the Notice and Consent (GDPR) field group in forms or pop-up forms or the Privacy and Consent (GDPR) option in meetings links, visitors to your form, pop-up form, or meetings link. When you configure your languages, viewers will be asked for their consent to receiving communication from you and their consent to the processing and storing of their data. When combined with its multi-language functionality, HubSpot wins here because you have more control over the user experience across nationalities. Communication in the way the players want it - it's an important goal when working with customers and prospects. But it's also critical for the team. How does each solution integrate with Slack for real time communication? HubSpot's Slack integration really delivers. 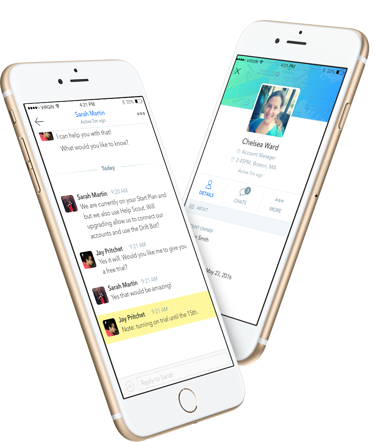 It features notifications for new conversations and sets up the details of the conversation in a thread. This allows for conversations to happen without the need to open up new "channels" for each customer and is easier to manage. 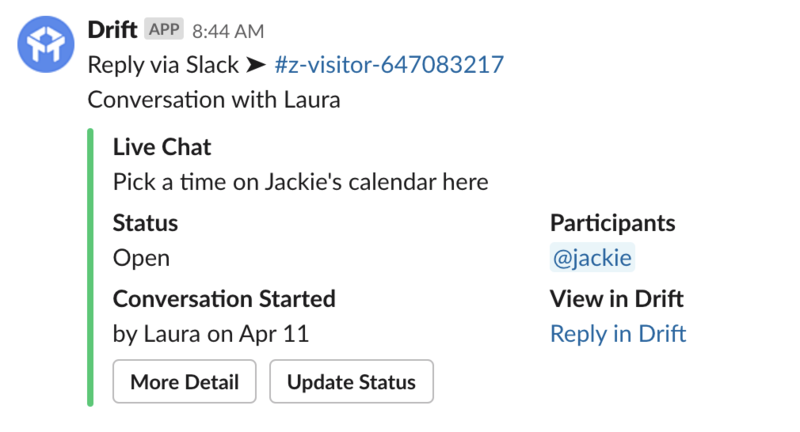 Drift integrates with Slack well. In order to reply you can either open a new slack channel with the user or click the URL to reply in Drift's app. Flexibility seems like a good idea. 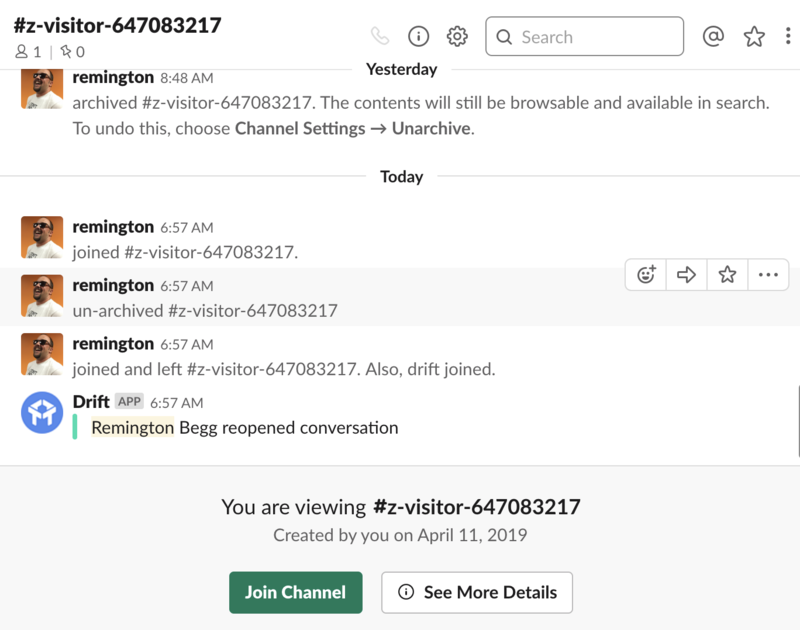 However, this can get cumbersome when you consider high volumes of chat inquiries and the need to keep adding new "channels for each visitor/chat." Ease of use and a seamless integration puts HubSpot on top here. Let's get to the question you're probably asking right now. What's it going to cost and who's the winner? We all need a starting point. Sometimes the free tool is the perfect place to begin our journey. But even the best tools out there can’t cover everything. We love HubSpot. We use it ourselves and work with terrific clients. We're a Platinum HubSpot Partner. But... while their broad offering really helps a ton of businesses, sometimes you need deeper experience and a more focused solution. That’s why we love Drift for conversational marketing and live chat. There’s a lot you can do with HubSpot, and if you have a limited budget, it’s a great place to start. When you’re ready to take your conversational marketing to an entirely new level and really solve for your customers, Drift owns the marketplace. And the price is affordable when you look at the value you can bring to your organization through more revenue, more efficient communication and better customer experience. If Conversational Strategy is mission-critical and you want to go deep, go Drift. This will help you create a long-term, sustainable conversational experience, where chat is primary part of your engagement to drive results. 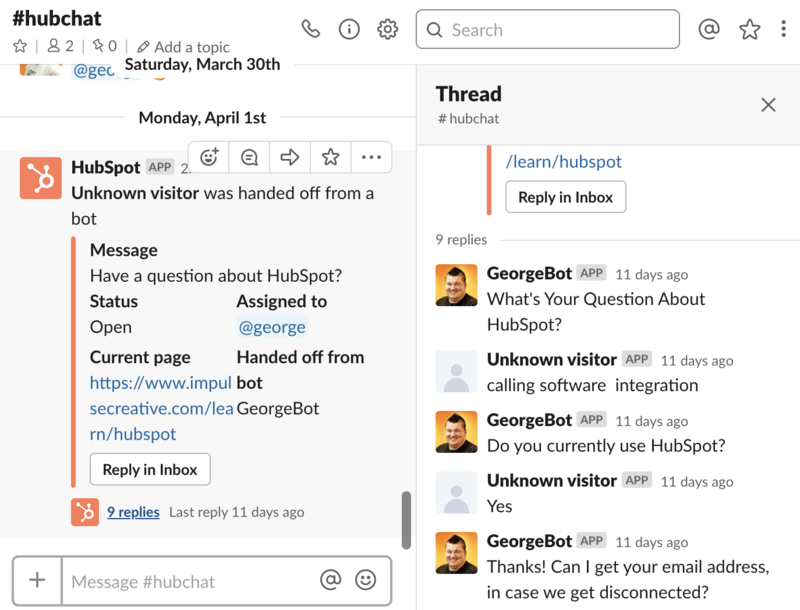 If you're getting started with a chat solution right, or you're already all-in with HubSpot, using HubSpot conversations probably makes the most sense. HubSpot has a lot features built into their all-in-one tool, including the conversational experience. Then you can add tools to your inbound strategy like Drift to truly take your game to the next level add value to your conversational strategy.